The award winning BevMo! Thirsty Times blog is packed with amazing cocktail recipes for the home bartender, plus lots of batch cocktails for parties and weddings and wine and beer recommendations. Cocktail Recipes: Margarita Fizz 5 Votes Up! Cocktail Recipes: Bourbon 1 Vote Up! Cocktail Recipes: New Maid 1 Vote Up! The Curious Creamery Ice Cream with Booze 5 Votes Up! Cocktail Recipes: Memorial Day Weekend 0 Votes Up! Sparkling Wedding Cocktails 0 Votes Up! Cocktail Recipe: Honor National Pick Strawberries... 3 Votes Up! Cocktail Recipes: The Warrior Bloody Mary with Cur... 1 Vote Up! Cocktail Recipes: Mother’s Day 2016 1 Vote Up! Cocktail Recipes: Kentucky Derby Drinks 2 Votes Up! Cocktail Recipes: Earth Day Cocktails 0 Votes Up! Wine Review: Honig Sauvignon Blanc 0 Votes Up! Cocktail Recipes: The Ultimate Margarita Raspberry 3 Votes Up! Cocktail Recipes: Jameson St. Patrick’s Day Drinks 0 Votes Up! Watermelon Basil Patch Cocktail 2 Votes Up! St. Patrick’s Day: Cooking with Jameson Irish Whis... 0 Votes Up! Wedding Cocktail Recipes: Stella Rosa Moscato 0 Votes Up! Beer cocktails for game day! 0 Votes Up! Classic Drinks Made Skinny! 0 Votes Up! New Year’s Cocktail: Bloody Mary 0 Votes Up! Hard Root Beer Float 0 Votes Up! Spooky Sips: The Brain Blast 12 Votes Up! Celebrate Mai Tai Day the BevMo! Way 0 Votes Up! Boozy S'mores Hot Chocolate Deluxe 0 Votes Up! Farmer’s Market Fresh Fruit Margarita 0 Votes Up! Spice up your Cinco party with Tequila Lime Chicke... 0 Votes Up! Yummy treats for St. Patrick’s Day 1 Vote Up! Harvey Wallbanger 5 Votes Up! 4 Ciroc Vodka Cocktails for your Oscars Party at h... 5 Votes Up! 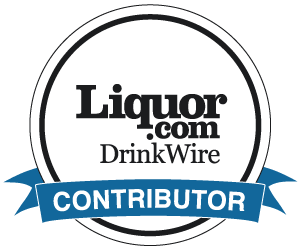 Two great margarita recipes from Casamigos Tequila 2 Votes Up!